Property owners have a responsibility to keep their premises reasonably safe for others, and if they fail to do so, serious injury may result. If you or a loved one has been injured because of dangerous conditions, call on the experienced lawyers at the Law Office of Robert Olkowitz, P.C. right way. With over three decades of experience serving accident victims across New Jersey, we fight hard for you and your family so you can focus on your physical recovery. We compassionately guide you through the legal process by answering all of your questions, while diligently representing you during settlement or courtroom proceedings. One of the most frustrating aspects of personal injury cases is dealing with insurance companies, which do whatever they can to prevent you from receiving the compensation you need to cover medical bills, lost wages and other forms of pain and suffering. We don't think that's right, which is why we take pride leveraging our experience to take on these battles for you. Spirited advocacy. We act swiftly on your behalf to ensure the insurance companies don't keep you from receiving the full amount of compensation to which you're entitled. 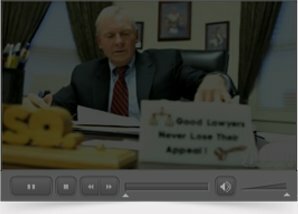 In fact, our lawyers have earned a reputation for their aggressive nature and tireless advocacy for injury victims. A compassionate approach. Personal injuries are rarely limited to physical pain -- you may also have serious concerns about your financial and emotional wellbeing. We've worked with hundreds of families across the state, and we understand the various issues that arise when dealing with a serious injury or wrongful death. Customized legal service. No two cases are alike, and we tailor our approach to your case based on the circumstances of your accident and your relationship with the responsible property owner. Whether your case involves a settlement or litigation, your accident lawyer gives you the reliable service you deserve. If you've been injured due to a negligent property owner, call the Law Office of Robert Olkowitz, P.C. at 732-741-7444 or contact us online to get started with your case. We are conveniently located in Red Bank and serve people throughout the state. You pay no attorney's fees unless you recover damages.